I have just returned from what was the longest, most exciting hunting trip I have taken. It was a DIY southern Arizona archery deer hunt. We drove from Mississippi to Arizona, camped, hunted, and drove back. Here are all three podcast episodes from our trip. Part 1 was recorded in the car on our way to Arizona and covers our expectations, hopes, and all the nervous energy that is associated with the beginning of a trip like this. Part 2 was recorded on night five of our trip around the campfire and covers our scouting, moving in search of deer, and how we found deer. Part 3 was recorded in the car on our way back from Arizona and covers our final hunts, our lessons learned, and a discussion on doing a trip like this in the future. 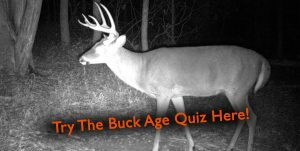 I hope you enjoy the podcasts and consider an Arizona archery deer hunt like this of your own! If you have any questions about our trip just leave a comment below or message us on social media!